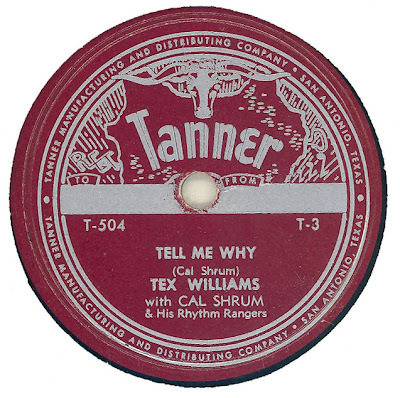 Actually, this is unquestionably THE Tex Williams. These are 1942 C.P. MacGregor transcriptions, and also feature Spade Cooley on fiddle and Cene Haas on guitar. 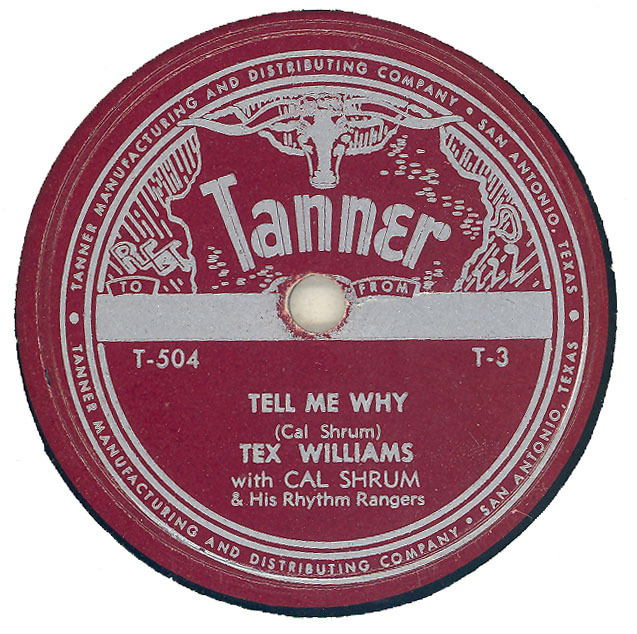 Shrum -- almost certainly without MacGregor's knowledge -- issued a few of the '42 transcriptions on his Westernaire label in the late '40s, then sold or leased a few to Tanner, as well.